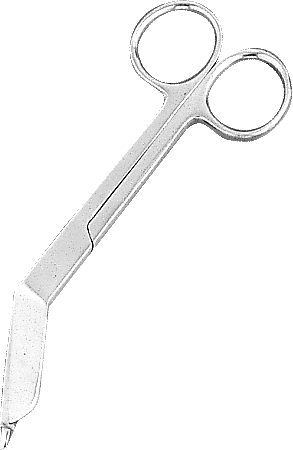 Lister bandage scissors are forged from corrosion-resistant surgical stainless steel. These popular floor grade instruments are built to last. Forged from corrosion resistant surgical stainless steel. Lister bandage design with offset blade and safety bandage tip. Popular floor grade instruments are built to last.